The cut-throat finch is a common species of estrildid finch found throughout Africa. 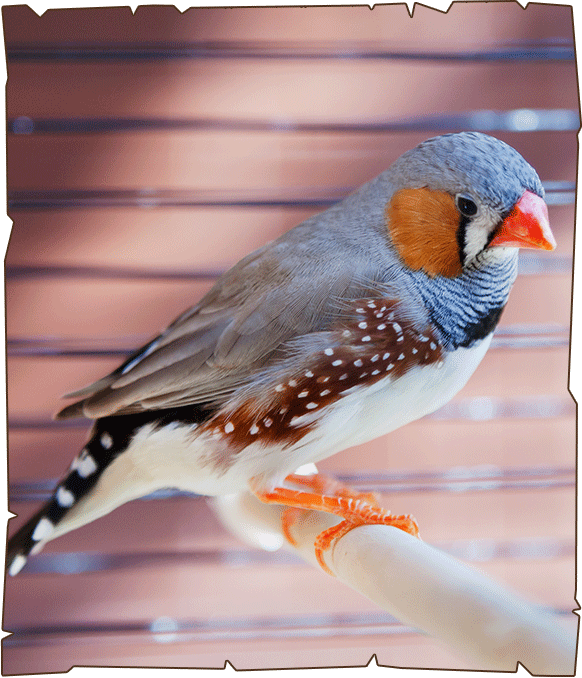 It is also known as the bearded finch, the ribbon finch, the cut throat, and the weaver finch. The cut-throat finch has plumage that is pale, sandy brown with flecks of black all over. They have a black-brown tail, a thick white chin and cheeks, and a chestnut brown patch on the belly. The legs are a pink fleshy colour. The adult male has a bright red band across its throat (thus the name "cut throat"), while the male juveniles have a slightly duller red band. It has an estimated global extent of occurrence of 3,300,000 km². It is found throughout much of Sub-Saharan Africa, particularly in the Sahel, eastern and southern parts of the continent.